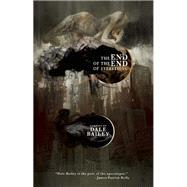 Dale Bailey's new collection, The End of the End of Everything, is filled with hope. As we rush headlong toward a "Choose Your Own Apocalypse" future, Bailey hangs back, refusing to let go of the indelible ferocity of the human heart. His stories are filled with the vibrant sound of those hearts, always beating. There is the Creature from the Black Lagoon, who is more human than any of those he meets in Hollywood; Eleanor, who works at the End-of-the-World Café, and who sees the depravity and despair of the Pit every day, yet never gives up hope for her ailing child; and young Tom, lost in a world scorched by the sun, who follows the rumor of angels still hanging on the wind. Reminiscent of Ray Bradbury and Richard Matheson, Dale Bailey mixes the macabre in with his melancholy, crafting stories that linger long after their reading. He sees a dark world that is growing darker, but he carries with him a light that refuses to go out. Dale Bailey lives in North Carolina with his family. He has published three novels, The Fallen, House of Bones, and Sleeping Policeman (with Jack Slay Jr.). His short fiction has won the International Horror Guild Award and has been nominated for the Nebula Award and the Bram Stoker Award. He is working on a new novel titled The Subterranean Season.